S0697. 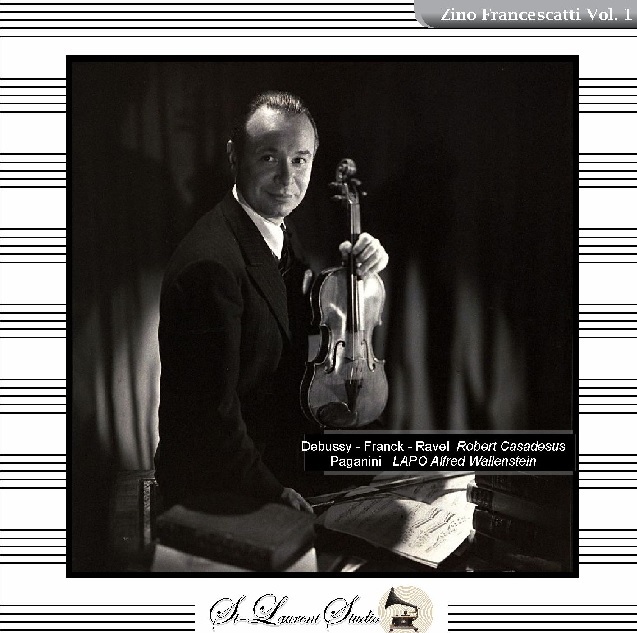 ZINO FRANCESCATTI, w.Robert Casadesus (Pf. 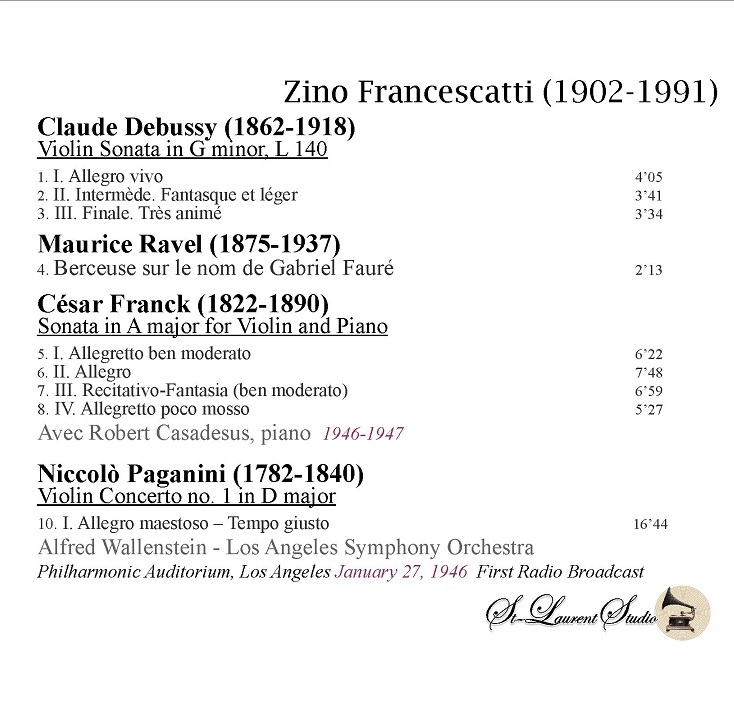 ): Sonata in g (Debussy); Berceuse sur le nom de Gabriel Fauré (Ravel); Sonata in A (Franck), all recorded 1946-47; w.Wallenstein Cond. Los Angeles Phil. 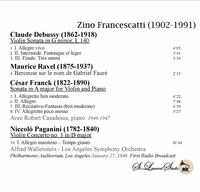 : Concerto #1 in D -Allegro maestoso - Tempo giusto (Paganini), Live Performance, 27 Jan., 1946. (Canada) St Laurent Studio YSL 78-383. Transfers by Yves St Laurent.